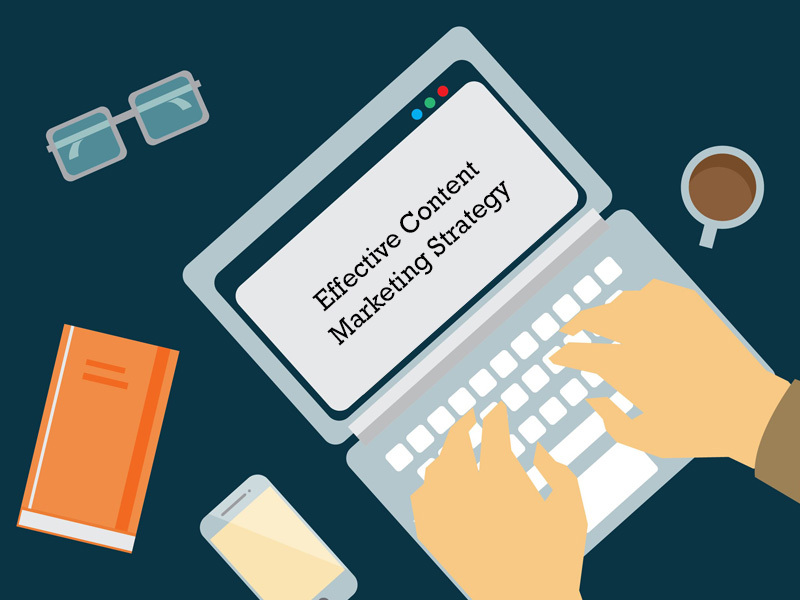 Five Steps For Creating An Effective Content Marketing Strategy | Pebble Infotech Pvt. Ltd. There is an increasing demand for unique content in the market, but with all the tough competition it’s hard to stand-out and generate an impactful content marketing plan. More than 80% marketers’ use content marketing, but amongst all, only 30% have succeeded to make their efforts effective. Remember, there is a huge gap between planning, implementation, and what makes your content marketing plan successful. 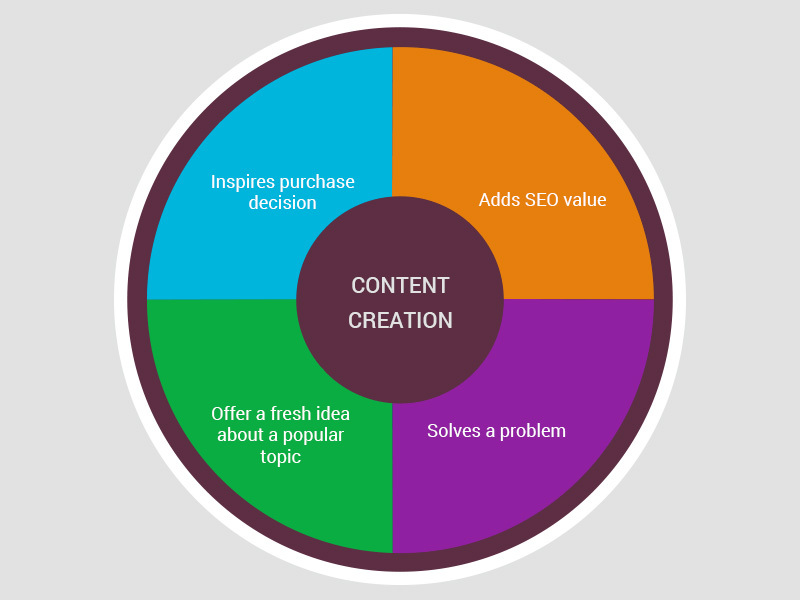 So to ease your burden, we have created a step by step guide on how to build a proper content marketing strategy which can actually drive results. If you want to polish your content marketing skills don’t hesitate to scroll to the bottom of the page. The first rule for every impactful content marketing plan is to create a proper strategy. Pen down your goals and figure out what kind of contents can help you to achieve those goals. As marketers, we must know that every stage of content marketing has a unique objective, and the goals for each stage must be clearly defined in your mission statement. This helps you to define goals from the stage of awareness to expectation. For instance, in the stage of awareness, your main focus will be on increasing reach, boosting up clicks on emails and social media posts, brand recall, but after the plan moves towards engagement the metrics move towards leads, loyalty, sales and returning visitors. A well-written content strategy serves as a reminder. It will be your go-to point for crafting next content and help you to keep track of right metrics in every stage. A good marketing strategy mainly circles around the interest of audiences and understands the expectation it has to meet. Before designing content marketing strategy there are few questions that every marketer should ask themselves. 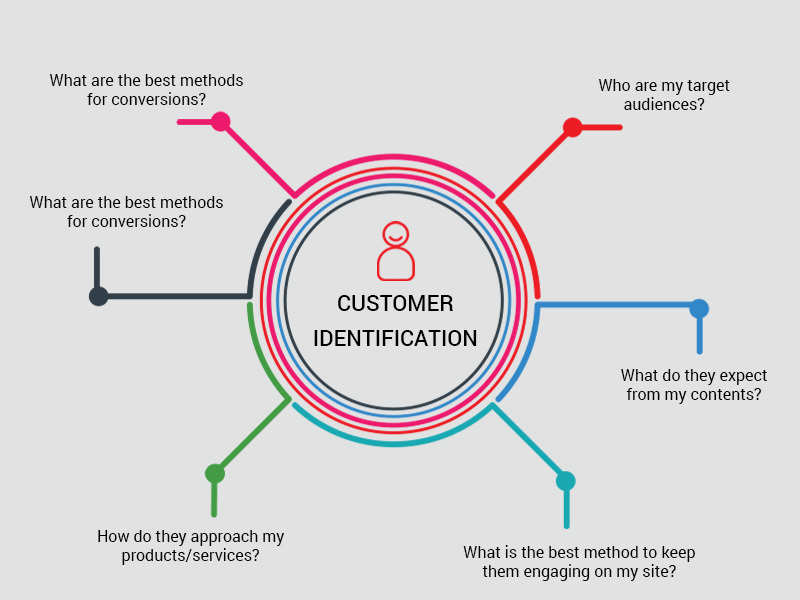 If you are able to find the answers to these questions, chances are you’ll be able to create buyer persona. You can also schedule a brainstorming session with your social media management team, sales team and e-mail marketing team to have a better understanding of your audiences. Creating unique topics every day is not a piece of cake. Creativity requires time and if you do things in haste, results might be negative. One way to create compelling contents is by doing a clear analysis of your audiences and the success of your existing contents. This helps you to generate numerous ideas to create invaluable contents. Think about your audiences and try to create informative contents for every part of buying cycle. Also, don’t hesitate to feature real-life stories of your brand and experiences. This will help your customers to build a sense of trust in your brand and inspire them to engage. 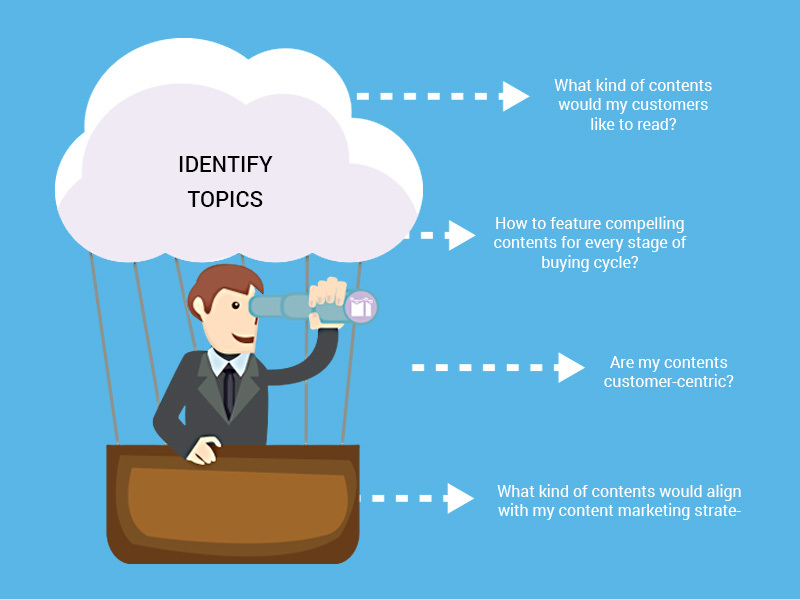 Ask yourselves these questions before you start to write contents for your site. You can also ask these questions to your co-workers and long term customers. Besides that, you can also use different social media platforms to get opinions from your audiences. After having a clear analysis of your audience’s ideas, you will have to identify the best ones and proceed to create compelling contents. Combine those ideas with relevance, value, and visual contents which resonate your customer’s audiences. Also use proper formatting, layout and length of your contents based on the selected topic. You can also prepare a good mix of contents which includes videos, images, blog posts, infographics, visual quotes, infographics, GIFs etc to ensure that your audiences get the best user experience. Experimenting and testing various contents can open gates to new possibilities. Just keep trying and select the best type of contents which can bring more customers into your site. But, while you are creating contents make sure that it serves as one of the following. Each type of promotion method mentioned above will aid you to reach your target audience. Choose a relevant promotion method and promote your contents accordingly. This will help you to gain more engagement, loyalty, purchasing and retention, and helps to shape your brand awareness within a short span of time.